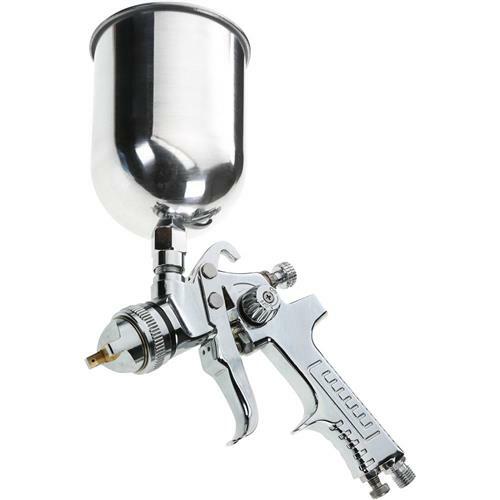 When durability is essential, this Spray Gun is your best bet. Features die cast aluminum alloy gun body with two step trigger control, air adjustment valve, and a corrosive resistant metal 600cc paint cup. Material: Medium to high solids (lacquers, stains, primers, multi-component paints, clear coats, acrylics, epoxies).